It seems the phrase ‘Made in Germany’ is still synonymous with all that is reliable and well-engineered. 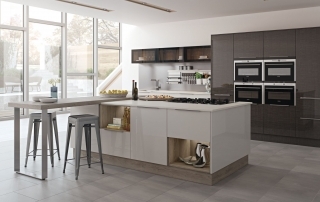 But when considering a German kitchen don’t forget the quality of British crafted kitchens from renowned kitchen manufacturers such as Mereway Kitchens. 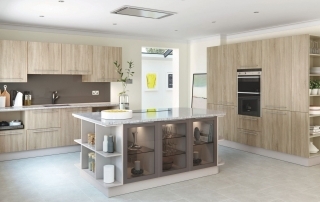 Here at Thatcham Kitchens, we offer a variety of high quality spaces supplied by Mereway Kitchens which include a mix of contemporary and conventional looks – many with that ‘German-look finish’. 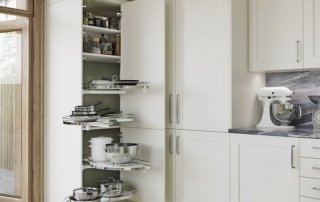 Within every collection, you’ll find a variety of smart space-saving storage solutions, making your kitchen functional and beautiful. 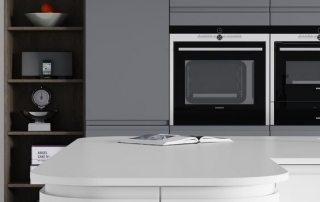 All our luxury British kitchens from Mereway Kitchens are tested to the highest quality standards and can be expected to last a minimum of 15 years. Better yet, that unquestionable durability and practicality doesn’t mean you have to sacrifice the appearance of your dream kitchen. Exemplifying quality British craftsmanship at its very best, materials are carefully sourced and checked, for example ensuring only premium wood is used. Your kitchen is handmade with precision and care using these materials, allowing you to make the most of every nook and cranny in your kitchen. For added reassurance, when you buy a kitchen from us the whole process is managed by our expert team – from design to fitting. We know you don’t want the complication of too many cooks (AKA suppliers and fitters) in your kitchen, so we’ll take care of it from start to finish. 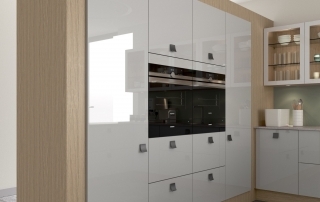 Every bespoke kitchen we supply and fit is protected by our KBSA membership. Being a Thatcham Kitchen customer gives you extra piece of mind that your kitchen investment is protected. Find out more here. What we bring you in style and ease of use, we match in technological advances. As a Bosch 5-star expert, we are the trusted choice when it comes to upgrading your kitchen appliances with the latest technology – perfect if you like to keep up with all the latest and coolest gadgets. 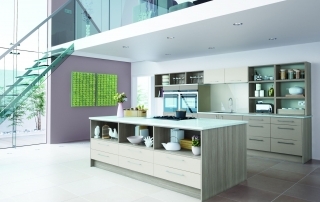 Call us on 01635 863853 to have a chat about your dream kitchen or visit our showroom on Thatcham Broadway. Also don’t forget to follow us on social media for inspiration and information!